As one of the best restaurants in Bangkok's Michelin Guide, R-HAAN takes pride creating an incomparable Thai fine dining experience. In Thai, the word 'R-HAAN' means 'something consumed for sustenance' but the truth is, it is often more than eating just for survival. By creating a culinary journey from plate to palate, this appreciation for Royal Thai cuisine is truly special has elevated R-HAAN into world recognition as evidenced by the restaurant's Michelin Star. 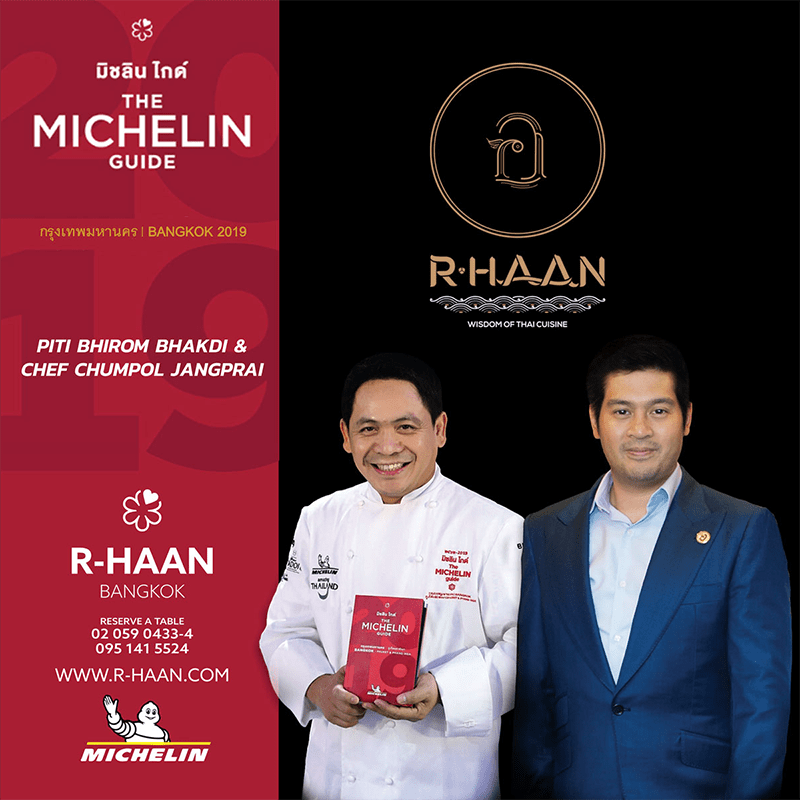 Khun 'Todd' Piti Bhirom Bhakdi, Director & Executive Vice President at Boon Rawd Brewery Co., Ltd. celebrates the one year anniversary of R-HAAN restaurant that has earned a Michelin star award in 2019. We wish to pass on the standard of authentic Thai cuisine by launching our Royal Thai Summer Menu, which brings together Thai cuisine with a touch of wisdom and Royal Thai recipes to all diners. Working with authentic Thai flavors, Chef Chumphol has meticulously prepared summer dishes made from the best ingredients that are grown locally in Thailand in order to, create authentic Thai cuisine that fits this Royal Thai dining experience. We will do our best to cater to most dietary requirements & food allergies.